I did something I have not done in over 12 years. I bought a relatively (2015) new car. New to me, anyway. And I have been having such stomach pains over the cost of a new car. However, I have to say that it was so reasonably priced, and I know without a doubt, we got a great deal (we went through our credit union to an Avis used car sale). We comp’d and Blue Book’d the cars and feel we got a lot of bang for our buck. It is just the process of going into debt freaks me out these days. You should have seen me as we negotiated payments and the date of payments…I literally had to bend over and take deep breaths! We were caught in the whole “housing crash” catastrophe a few years ago and have been scrabbling our way out of that. It is nice the bank feels we are an admirable risk and that our credit is amazing, but the burden of debt is a scary thing. Every month, our money flies out the door. It barely says hello to our bank account before it’s gone again, on its way to whomever we owe. As is the case all over this country, I know. I feel you, I truly do! We did. We sat down. We could have sat longer, perhaps, but we also met with our banker, who assured us we can handle this debt. 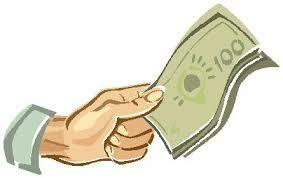 The process will be good, because that concept of being frugal will now be foremost in our minds. We worked hard to regain our finances and want to be sure we plan for our future and make smart choices. 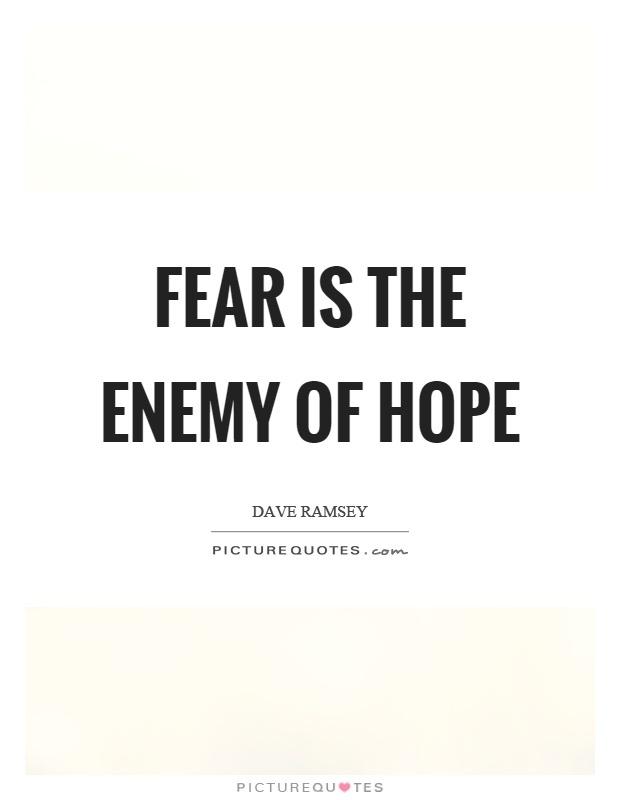 We are going to be doing a personal finance course with our youngest son from Dave Ramsey, and we plan to share with our son all the details of personal finance. I sure wish that Dave Ramsey would have done this when I was a kid!!! The reason we chose this program is because Dave Ramsey bases everything on Biblical Principles and I think that is just so important. And it will be valuable as our youngest makes his way in the world. And it will also be a great refresher for my husband and myself. You can never learn enough! This year’s presidential election is certainly controversial. There is just so much we could delve into, but for this post I want to look at money. At debt. At how we are sinking, as a country, under the mounds of our debt. There is a site online called “The National Debt Clock: Real Time” and you can look at it by clicking here: http://www.usdebtclock.org/index.html This debt clock is in real time and watching it makes your head just spin. The numbers are rolling past and it seems surreal. First of all, I have to start counting those commas. Wow. We are sinking fast. And just as I am under the onus of debt and my stomach roils when I think about it, why does our government not do the same? I cannot spend what I do not have. It is the law. I cannot take money from someone else’s bank account to pay for whatever it is I want. But the government does just that. If we are truly more than $19 BILLION dollars in debt and counting, how can we give money to other countries? How do we pay salaries? How does the government function? If their income cannot keep up with their debt, money becomes almost meaningless. In the back of my mind, I think maybe anarchy will take over and the world’s debts will all be washed because there will be nothing worth anything (as in the devalued dollar) and we will be relegated to trading. Why do you think on more conservative channels you see all those ads, encouraging you to buy gold? Ever think about that? I gladly pay what it takes to keep a roof over my head and food on the table. If there is extra, I gladly share with those in need. Gladly. My government, however, takes far more than they can wisely use and squanders so very much of our money. From Wikileaks it says, “The amount of retirement income Members of Congress receive from taxpayers is determined by a formula that takes into account the years served and the average pay for the top three years in terms of payment. For example, a member elected before 1984 and thus qualifying under the CSRS plan, who worked for 22 years and who had a top three-year average salary of $154,267 would be eligible for a pension payment of $84,847 per year. A member elected after 1984 would have been enrolled under the FERS plan, and their pension payment under similar conditions ($154,267 top three-year average salary, but with only 20 years of service, rather than the 22 in the CSRS example) would be $52,451. First of all, I believe term limits should be instituted. I cannot believe that gentlemen (or lady) legislators, chosen from amongst their peers, can serve for more than 20 years when terms are supposed to be 2-4 years. 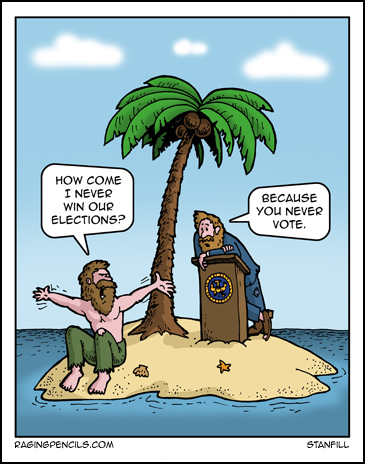 Why do they get re-elected time after time?? Having worked with elected officials, their point is that it takes 1-2 years just to learn how things are done and then another 2-4 years to get anything accomplished within a structured process such as congress. To that, I responded, “Learn faster. That is what the rest of the employees working under you have to do. We have to learn our jobs within our probationary period or we do not get to keep our jobs.” It was not well-received. I kept having problems because I thought elected officials worked for ME, the tax payer. They do not look at it like that. Trust me. This election is so pivotal for our country. There are so many arenas of power that will be affected by who is elected. Especially those running for Congress. And our next President is going to shape the world for the next 20 years in appointments and decisions made. It is frightening. I am afraid for my grandchildren. 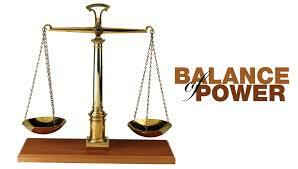 We need to keep in our minds how we balance all the powers we give to those we elect. That entire “Checks and Balances” theory our country was built around. Remember why our Founding Fathers all left England in the first place – their rights were being taken away. They sought freedom from tyranny and subjugation. And if you do not think we have that again, because of our embedded Congress and Supreme Court system (let alone our state, county, boroughs, and cities) then you need to really educate yourself on the realities of life in America in 2016. So what I am doing? Well, I am reading and learning. I had never before sat down and read the Declaration of Independence or the Constitution. The Federal Constitution, and our State Constitution. Guess what? Our rights are being trampled upon. Our rights are being given to foreign authorities (read: UN) and our land is being watched over by foreign watchdog agencies (read: UN). We are being legislated in vaccinations, which is just symptomatic of so many issues of governmental overreach. (I believe in informed consent and the ability to choose for my family and my children’s particular health issues which vaccinations we get and when we get them. Don’t get me going on the annual month of September and the process of vaccination shedding in our schools!). We are being legislated in 1st and 2nd Amendment Rights…and I can assure you that many of them will disappear depending on who is elected. We are not being asked, nor are we voting on these overreaching changes; they are being legislated. The Federal Department of Education is legislating from Washington what we teach kids out in the bush in the most remote parts of American culture. It is insane. It abrogates State’s Rights!!! We need to stop sitting by and allowing that Debt Clock to keep ticking away and meanwhile nothing is done about it by anyone in our government. We need to stop sitting at home and not being involved. We need to vote!!! We need to educate ourselves on what exactly it is that we (a) have the right to, and (b) can rally to protect. A friend shared a scene from a cartoon movie called, “A Bug’s Life,” where the grasshopper is lecturing his fellow grasshoppers about how the “ants don’t know how strong they are…” and it went on to say that if they realized it and all banded together, they would beat the grasshoppers. Well, we are the ants my friends. We need to stand up to the grasshoppers in this world and just say, “Enough is enough,” and take America back! 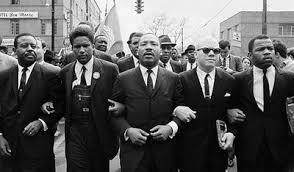 Dr. Martin Luther King, Jr. felt that peaceful conflict was a viable thing. Nearing the end of his life, he was becoming frustrated and was angry more progress was not being made, but the way in which he conducted himself has left a resonating presence for those of us who listen. “Darkness cannot drive out darkness, only light can do that. Hatred cannot drive out hatred, only love can do that.” That is one of his most famous quotes and after the events of this week, I sure wish more Americans knew it by heart. Today it was released that more than 70% of the people arrested in Charlotte were from out of state. They were bussed in to cause a problem. Some reports are saying the areas in which they demonstrated were chosen because it made “good press.” If you do not think the stage is being manipulated, you need to think again. Public opinion is worth millions in an election. The money spent trying to sway voters is almost insane. Check out the weekly expenditures of the two major players and you would wish you could only earn that much in a lifetime. “First of all, then, I urge that supplications, prayers, intercessions, and thanksgivings be made for all people, for kings and all who are in high positions, that we may lead a peaceful and quiet life, godly and dignified in every way.” (1 Timothy 2:1-2). We need to get America back. How? Well, we need to hit our knees, first of all, and pray for our entire country. We are literally bleeding these days. “If my people, who are called by my name, will humble themselves and pray and seek my face and turn from their wicked ways, then I will hear from heaven, and I will forgive their sin and will heal their land.” (2 Chronicles 7:14) We need to pray for those seeking office. We need to pray for discernment, to be honest with ourselves about who is the best person to be the “Leader of the Free World” and who will have the best interests of all the people on their heart. I did not agree with my party’s decision as to who they chose as the presidential candidate. I did not. But I have researched this option and feel that I can no longer just sit by and throw my vote into the wind and hope it lands in the best place. No. I have chosen to educate myself about the issues and I have chosen to support my candidate. I have chosen to become involved at the local level. I attend meetings. I have learned, from a potential Congressmen sitting down and having a cup of coffee with me, his plans for my country and for my state. I have signs in my yard. My husband and I are volunteering at the local congressional election offices. We are trying to ensure a positive outcome for our state and our country. We can no longer assume someone else will take on our debt, our responsibility as citizens. 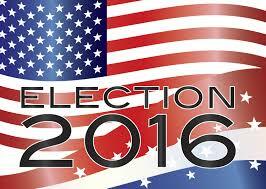 We cannot sit idly by and allow less than half the eligible voters choose the next President. It could potentially cost us our freedoms, and our country. This is not melodrama, this is reality. We need strong leadership we can trust. We need to return to character and morals, and being forthright and honest. In all things, in all arenas, at all times. Please vote. Please be a part of the solution, and not the problem. Uphold your country and celebrate our freedom. Let us bring back what we have allowed to be taken from us. So many areas of our lives are a mess. We are sinking, but we can be saved. We really can. We just need to act now, and on November 8th, our national Election Day. Please vote!